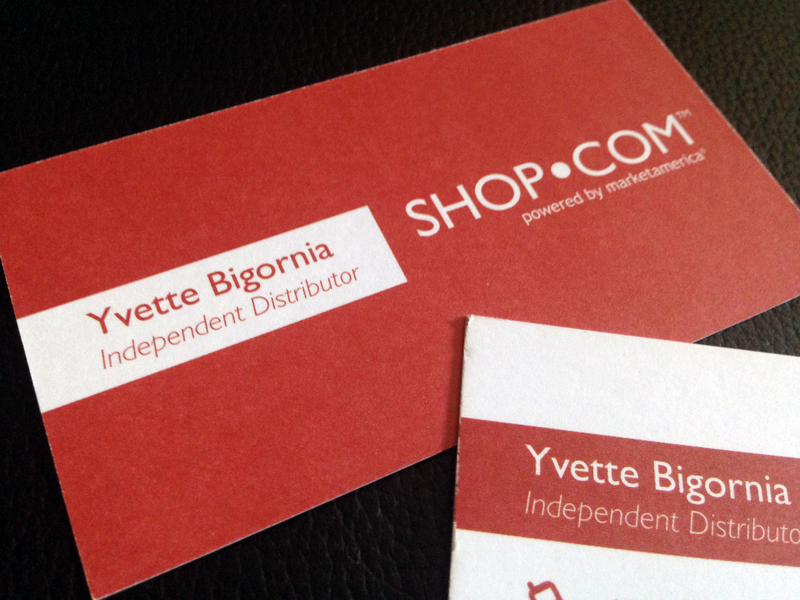 Even though I am currently building my own graphic design business AND work a full time marcom job, I am also an independent distributor for Shop.com since February 2013 (which is why I have the shop.com logo on the right). After joining this business, I wasn’t impressed with a selection of business card designs so I decided to design my own. This is a two-sided business card using my signature red from the yvenia business card to keep it consistent with my own brand. I couldn’t find a high resolution Shop.com logo so I end up recreating the logo. It may not be exact, but luckily it was mostly type. 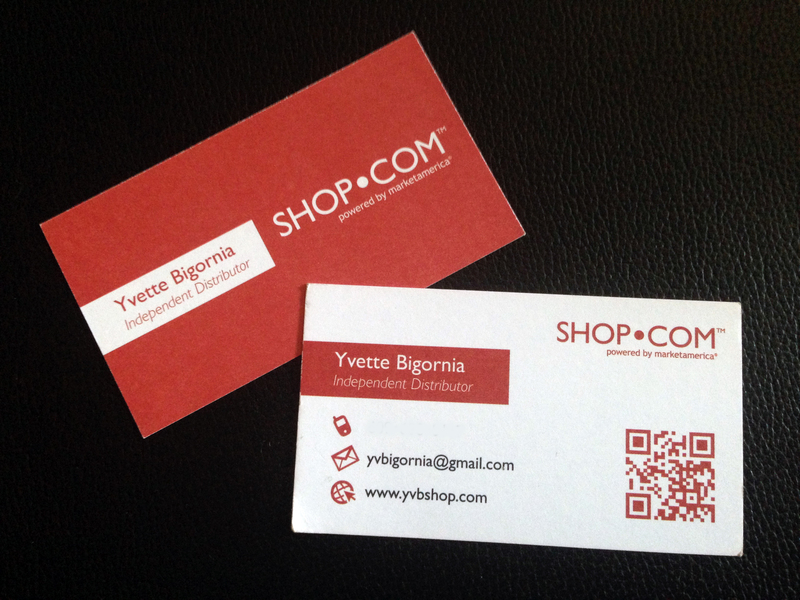 Plus, I added a QR code, which links to my own Shop.com site (www.yvbshop.com). You can create a QR code through any QR code generator site and download a high resolution image — I got the code through GOQR.me.